How We Choose Our Tours? First of all what makes our tours and retreats successful? 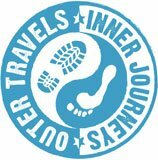 What makes Outer Travels Inner Journeys successful is the synergy created between all our participants, our facilitators and our guide which effortlessly creates coherence* with the environment around us. This deep sense of belonging to the tribe and the land beneath our feet means that the experience of the tour or retreat is deep and impactful, leaving everyone with a profound sense of connection not just with the group but to the people we meet along the way. It is the ‘bond’ of nature in action where the collaborative whole is more than the sum of its parts. This is where we come back home to ourselves, enabling us to feel more alive, in tune with the natural world around us. Outside of this we endeavour to create authentic experiences of the country, its culture and its spirituality, give excellent customer care and add a little touch of magic where we can to cross the boundary to the unexpected. So, how do we choose our tours…? To expand our tours and retreats in to other countries means we need to find those guides and facilitators who are able to bring about this synergy and coherence. We look for guides who know their land and culture so well they can show us ‘under the skin’ and give us that bit extra. We choose facilitators whose inspiration will support our journey back home to ourselves and a greater experience of the world at large. We want all our participants to experience an ‘adventure in spirit’. We look for places which are that bit different. We may journey off the usual spiritual routes, discover little known festivals, connect deeply with nature, her wildlife and wilderness, experience contrasts which heighten our senses. We’ll work as closely as possible with the local people, not only to support them but to help support us in moving beyond our definitions of each other to a greater place of communion and non-judgement. We also want to tread as lightly as we can on the earth beneath our feet in order to honour our home as she whirls through this vastness of space. Please let us know what you think of our new suggested tours and if you have somewhere you have longed to visit and feel it resonates with our values, we’d love to hear about it. *Coherence according to the HearthMath Institute. It can be measured by our heart-rhythm patterns: The more balanced and smooth they are, the more in sync, or coherent, we are. Stress levels recede, energy levels increase and our brain and what HeartMath calls the “heart brain” are working together. It is a state of optimal clarity, perception and performance.